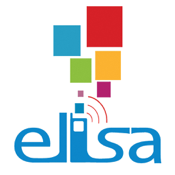 Elisa Terra is an application to automatically trigger and alarm notification in case of an abnormal situation, risk or thread; for instance, in face of a violent act, in the case of an accident, etc. Just lunch the application to notify local authorities in your community or organization. Stay attentive, very likely you will receive a call back to validate the alarm and to obtain more specific details about the facts, this with the aim of offering you immediate assistance. 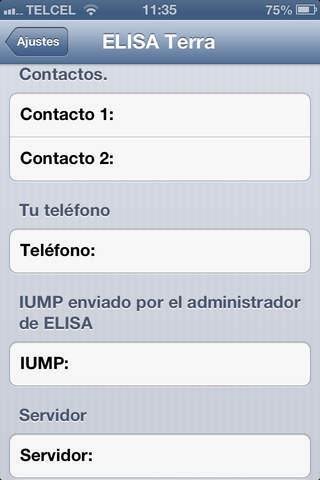 Note 1: An ELISA Terra administrator has to exist in your community or organization and offer the assistance service; also it has to provide the local server, alarm monitor, and manage activation keys (IUMP) for users. Note 2: If the field Server is not configured from the application settings, ELISA Terra will only send First Level SMS messages to your local contacts, making the use of the application more flexible.